New spirit [Ichiko Myazawa] added. 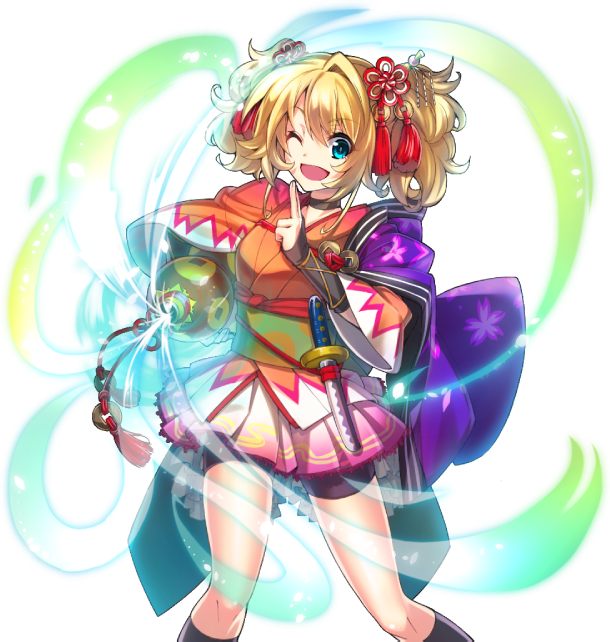 Her weapon type is [Gourd], a weapon that gains increased ATK and Area of Effect when more enemies are in range. There is a low chance of her appearing in Normal Gacha. The New Spirit [Ichiko Miyazawa] is featured in the New Spirit 11x Step Up Gacha. If you successfully roll Ichiko, you will receive Exclusive Awakening Crystals for her. The newly added event Spirit (Ichiko Miyazawa) has 2x EXP Bonus Chance from 3/27 to 4/10. Her official 2x EXP days will be the 8th, 27th, 29th, 30th, and 31st. Daily pickup gacha for this week includes Fury, Cactus, Ichiko, Rin, and Demetria. The consecutive battle event [Rebellion Island] has had a special stage added. This stage features small battles from each of the chapters 1 through 4. Normal Election Ward 4 has had T4-3 added. Clear maps to obtain [Personal File Treasures] and exchange them in-game for various items. The following Spirits have been added to the following Bond Abilities. 「政剣学園・新聞部」 (Spirit Academy News Paper Club) Matilda, Tiara, Kimberly, and Trixie. 「政剣学園・陸上部」 (Spirit Academy Track and Field Club) Matilda. 「強く深い絆」 (Strong Deep Bond) Jean. The following Spirits have had the following Awakening Abilities added. [Spring Rebellion Island Support Campaign] begins. During this campaign, Rebellion Island will have half motivation cost. This week features half gold cost on EXP Bonus chance continuations. Returning Event 「代表狩超戦挙」 (Hillary Costume Event) cannot be sortied to with Returning Event Tickets if you do not have enough motivation. Certain units could be boosted using the Sublimation Sword even after they were retreated. Kagami Mochibe appeared purchaseable in the Town Revitalization Shop. Best Pair Combination Vote has ended. Thank you for the large number of votes. The official tapestry information will be announced later. In addition to the best combo, the Spirits with the highest individual votes are as follows. Last edited by Folseus; 04-03-2019 at 10:02 PM. Urgent Castle Siege Event [REMIX! Abenomix] begins. New EX Spirit [Theta Abe] added. The newly added Spirit (Theta Abe) has 2x EXP Bonus Chance from 4/3 (Wed) to 4/17 (Wed). Her official 2x EXP days will be the 2nd, 16th, 29th, 30th, and 31st. 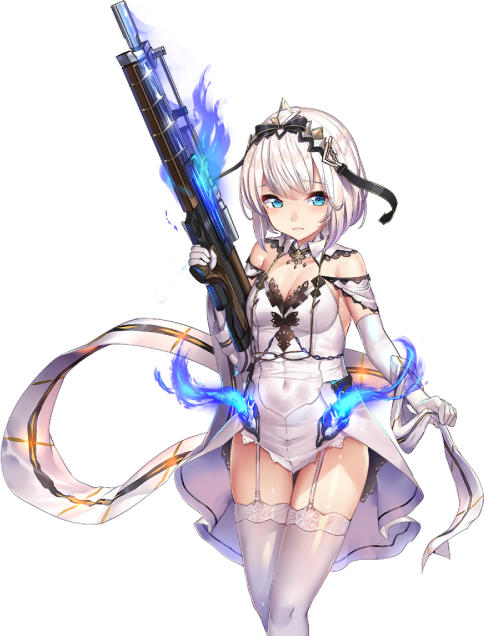 This skill temporarily disables movement and decreases ATK, but increases ASPD and allows her to shoot targets inside her minimum range. Carrie Kaneko EX appears in [Returning Gacha]. Use the coins collected from the event to obtain her. This event features EXP Bonus for Mariko, Yuria, Ether, Stella, Jill, Trudie, Jean, Carrie, and Theta. Skill Badge Gacha EX is available for a limited time. 3000 DMMP, 10x Limit for a 7x Pickup-less Gacha with at least one guaranteed SR or higher. Gives 10x Gold Badges, 40x Silver Badges, 75x Bronze Badges, 5x Full Motivation Recovery Items, and 7x Exclusive Awakening Crystals for Theta. Daily pickup gacha for this week includes Sirius, Stella, Ether, and Yuria. Naikaku Challenger Stage and Naikaku's mini-game have had their availability extended until 4/10 (Wed). We apologize for the inconvenience caused by the various bugs. Sodalite's skill ATK increase not working. Jordis's skill sound effects not working. Naikaku Stage Gold Boost not correctly displaying an increase in Gold. As compensation, all users will receive 1x Full Motivation Recovery item and 1x Gacha Ticket. In addition, as compensation for the extended Android version maintenance, all users will receive 1x Full Motivation Recovery item. In addition, next week will feature SSRA for Mariko Koizumi. 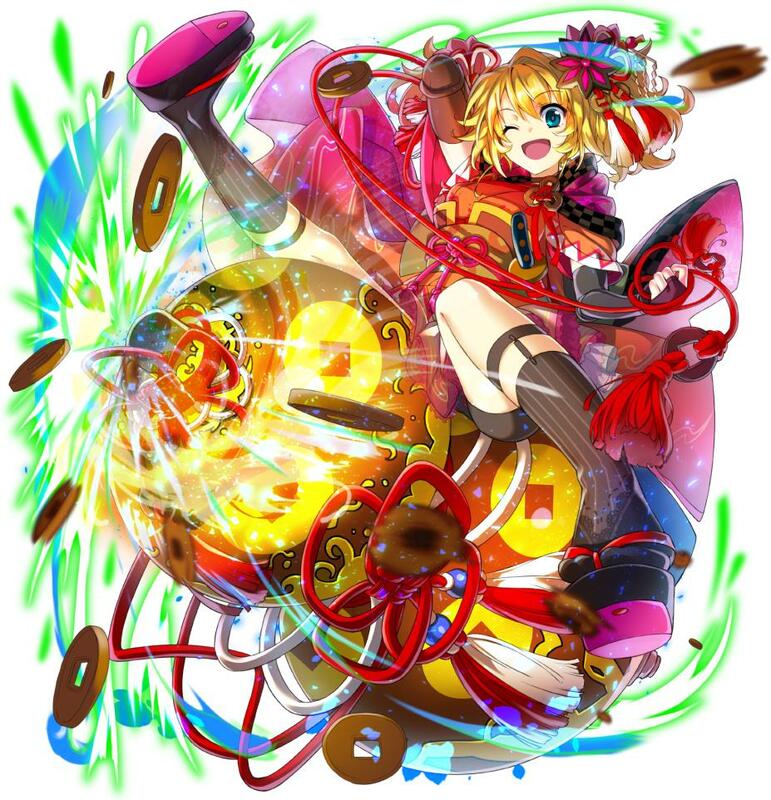 I think because of how Theta's skill works, she won't be quite as good as Matilda. Matilda being able to only focus targets far away, i.e. snipe the enemy castle while ignoring enemies lets her speed run a lot of maps for training other Spirits and Theta will have more difficulty if she has to shoot close enemies by using her skill. Which means she likely doesn't want to use her skill if you're using her to snipe long distance. But I really want to roll double snipers on my training runs. Last edited by Folseus; 04-03-2019 at 10:04 PM. looks like today we got a new item to add exp x2 to someone? 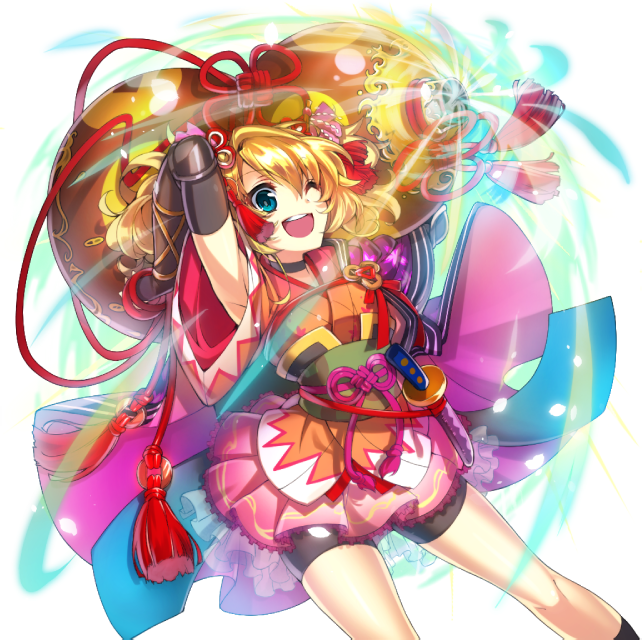 The following Spirits have received their [SSR Awakening Unlock] and [First Strike Multihit Increase] Awakening Abilities. [First Strike Multihit Increase] changes the Quickdraw Sword's special first hit bonus from 4 hits to 8 hits. She is illustrated by Akasa Ai-sensei https://twitter.com/AkasaAi and voiced by Kondou Yui-san. Marico Koizumi guaranteed Spirit gacha is available. Daily pickup gacha for this week includes Coral, Natasha, Mariko, Courtney, and Tatiana. Current event has had its [After Festival] (E-5) difficulty added. This week features 2x Prime Minister EXP. EXP Bonus Chance Tickets have been added. This item can be used to give an EXP Bonus Chance to any Spirit that you can continue until 4AM the next day. This item can be used from your [Treasury] (Items). 2x [EXP 2x Tickets] have been distributed in commemoration. We apologize for the sudden change but we ask our users for their understanding and cooperation. Using [Pickaxe] from the Items screen to move to special elections causing an error. Twist Stage T4-3's Daily EXP Bonus not correctly applying. As compensation, all users have received 1x Full Motivation Recovery item. Due to incorrectly announcing Ichiko Miyazawa's 3x EXP Bonus Chance on 3/27, she will have additional 3x EXP Bonus Chance from 4/10 to 4/17. Mariko's level 100 Awakening Ability is insane for her potential. She already does so much damage as it is on her first hit. Today's update will bring a new Spirit with the weapon type [Compass]. I'm thinking she might have a default effect that makes her target highest HP or lowest HP or buildings, or maybe simply target lock on a ranged unit. New spirit [Sarene Idemitsu] added. 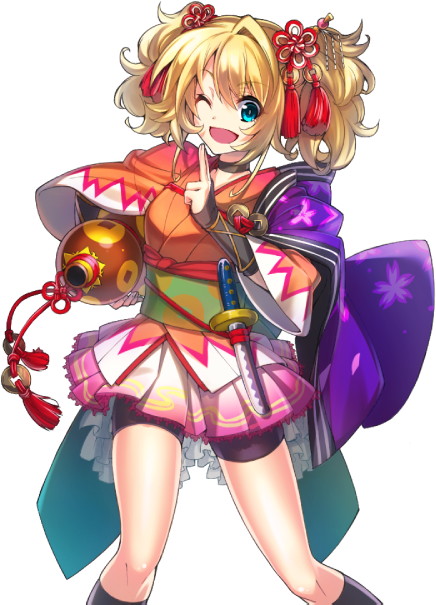 Her weapon type is [Compass], an area of effect magic weapon that has low ATK but deals 10 hits. 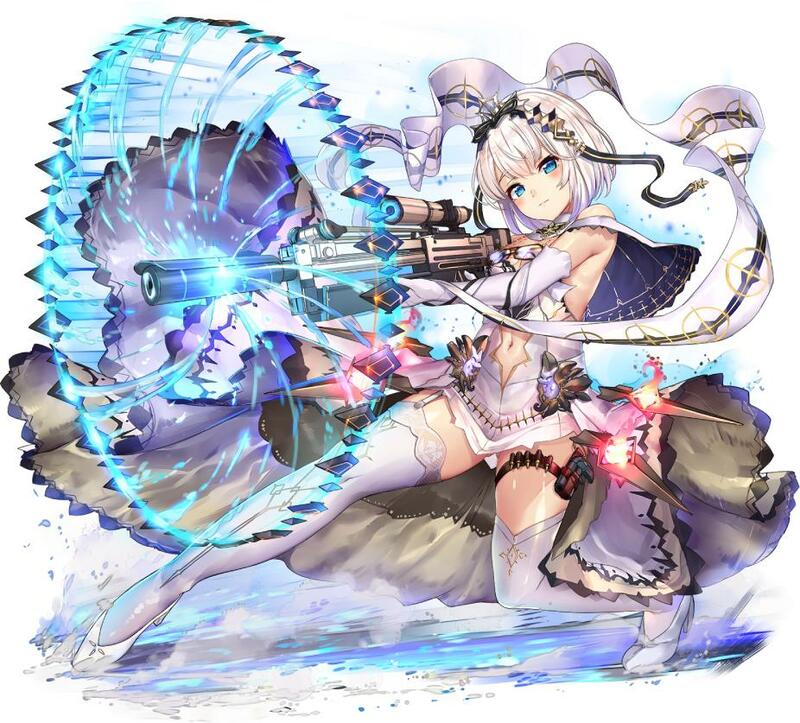 The new Spirit [Sarene Idemitsu] is featured in the New Spirit 11x Step Up Gacha. 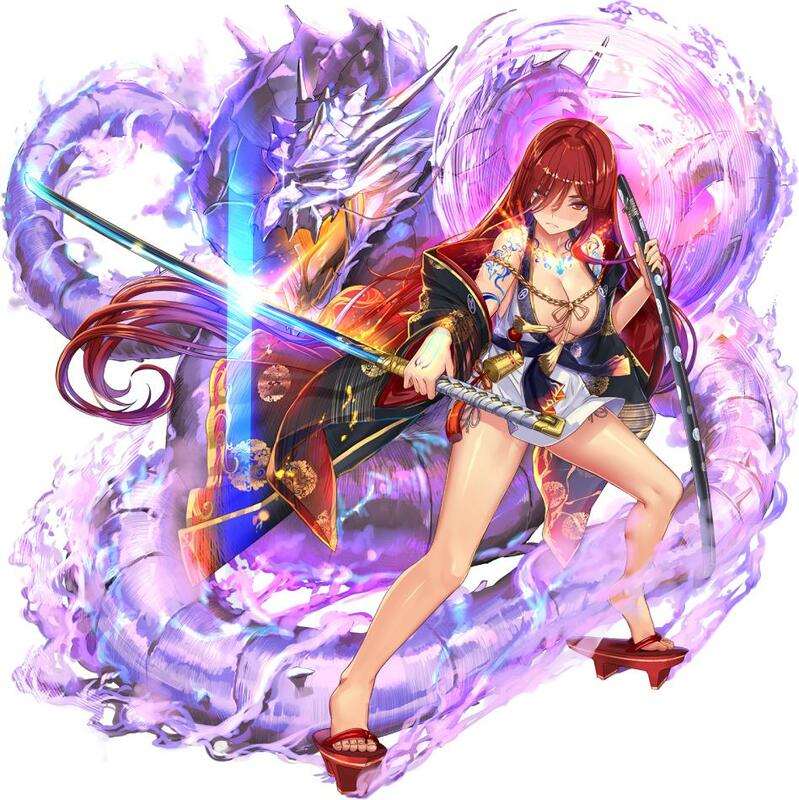 If you successfully roll Sarene, you will receive Exclusive Awakening Crystals for her. The newly added Spirit (Sarene Idemitsu) has 3x EXP Bonus Chance from 4/17 to 4/24. Her official 2x EXP days will be the 1st, 22nd, 29th, 30th, and 31st. This skill deals continuous damage with unlimited range in a piercing attack. [Training Support Gacha] is available for a limited time. Daily pickup gacha for this week includes Sodalite, Tina, Sarine, and Sophie. High difficulty multi-party consecutive battle event [Rebellion Island] Chapter 5 has been added. To access Rebellion Island, you must clear Normal Election Ward N4-5. Theta has been added to the UI as a helper Spirit. [Life Up] and [Mana Up] have been added to the refinement materials. The [Recommended] section features a limited time 3x EXP Ticket. The next reset is planned for 5/15 (Wed). Rebellion Island Tower Defense Mode would not allow retreating for Spirits who use skills that prevent their movement. Returning Events Subjugation types would cause an error when cleared. Certain error messages would appear on the home screen. As compensation, 2x Full Motivation Recovery Items and 1x Gacha Ticket have been distributed.